About the Author&colon; Welf Herfurth was born in 1962 in Goslar, Germany, and grew up in his early years in a small town near Konstanz in the southern part of Germany near Switzerland. When he was 14 he moved with his parents to Iran for several years were he attended the German-Iranian International school and lived through the Islamic revolution. The revolution made a great impression on him and showed him how fast a government can be overthrown as long as the people are determined enough. After returning to Germany, he finished his school and became a Mechanical Technical Draftsman. At the age of 17 he joined the youth wing of the NPD, the Junge Nationaldemokraten - JN (Young National Democrats) and became a member of the National Executive several years later. As an activist and a skilled organiser he build one of the largest JN groups in his area and served in several school and technical collages representation committees, always openly as a nationalist. He was one of the few JN and NPD members in Germany that hold such positions. But his political involvement had its consequences and he lost several employment positions as well as was kicked out of several houses. During this time he was attacked and beaten by the German Antifa, but he never wavered in his believes. Welf Herfurth again sold all his belongings in 1986 and travelled for one year through Russia, Mongolia, China and South East Asia. He was one of the first backpackers that travelled through China and had a first glance in a country that was isolated for decades. In 1987 he settled in Sydney/Australia where he married and had two children. He opened his own business that he ran successful for 10 years. In 1989 he joined the Australian Democrats, a libertarian political party represented in both the NSW state and Australian federal parliaments. He joined the NSW state executive for a short while until leaving the party due to to bigger political differences. In 1998 Welf joined One Nation, a raising political force in Australia and again became a member of the NSW state executive and a close associate of David Oldfield, the One Nation senator. After the decline of the party, Welf had a good think about his political life and concluded that party politics is a waste of time and money. 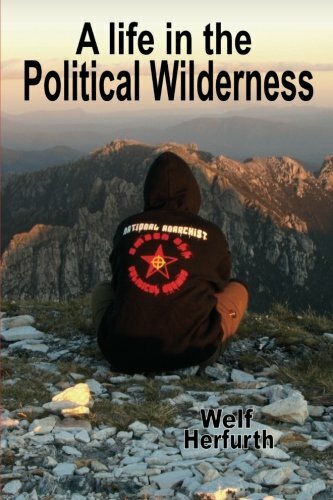 His introduction to Troy Southgate and the ideology of National-Anarchism was a new beginning.